While advancements in technology push forward on a millisecond basis, it’s nice to know that we can stick to what currently works and still get excellent service and functionality without the need to keep pace with the edge of tech. In the world of coffee machines, it’s a game of taste and convenience, and the good news is that there is always a perfect machine for each and every one of us. Let’s take a look at the Breville BDC550XL or per the company’s more trendy monicker, the “YouBrew�? For the person who loves control, this little baby from Breville will surely please you more ways than one. Not only is this piece of engineering ingenuity a sight to behold, it also packs popular and current coffee-machine technology that simplifies the way you prepare your favorite drink so you can enjoy cup after cup of pure coffee bliss. With a height of 16 inches, the Breville BDC550XL is quite lengthy, yet it goes well with its depth of 12 inches and width of 8.25, giving it a sturdy look and plenty of luscious industrial appeal. The brushed stainless steel finish gives it a classy look and does not stray away from the popular coffee maker designs of today. Overall, we’re digging this Breville’s look. Versatility is one key factor when it comes to coffee machines at this price point. You’ll be pleased to know that the Breville YouBrew is not only perfect for single-serve options but also awesome for its group-capacity brewing. Got guests? Run the Breville YouBrew and you’ll have plenty of coffee within minutes, all in just one brewing session! Brewing with fresh coffee beans are already winning half of the battle. No matter how fancy your machine is, a perfectly ground batch of coffee beans is simply the easiest and fastest way to improve your coffee experience. Good thing that the Breville BDC550XL comes with its own fully-functional Burr grinder. Toss your bean of choice, hit a button and the fresh ground coffee automatically dispenses into a dedicated compartment ready for dispensing anytime you want. Brewing your personalized blend of coffee has never been this easy. Choose from 7 adjustable strength settings and 5 flavor profiles to match your taste. This great feature is available in the single-serve option and works wonders in simplifying the used-to-be tedious process of guesswork when brewing a cup or two. One of the best features of the Breville BDC550XL is its large 12-cup batch brewing that is typically more than enough for the average household. And with this more than ample capacity, Breville made sure that everything is ready for serving by including a high-quality glass carafe. The warming plate keeps things hot and ready for pickup anytime, and thus saves you time and provides a constant supply of coffee for everybody. The set of quick launch buttons works beautifully with the LCD screen, providing plenty of brewing options without being too confusing. The sleek contours of the keys add a nice touch, it certainly adds structure to the machine’s overall industrial appeal. For the ultimate convenience, set the machine to brew any time, any day with its fully-programmable automatic settings. Imagine waking up and to the smell of sweet coffee each morning.all you need to do is get a cup! Digits and text pop out crystal clear, simply one of the more easier-to-read screens among today’s coffee makers. Fully-functional with detailed settings and display information so you’ll always know what you’re setting and getting. The Breville YouBrew’s bean hopper is one of the largest among its class as it can handle up to half a pound of coffee beans. The unique hopper locking mechanism not only makes refilling easy but also seals the base of the hopper for fuss-free removal, storage and transfer of beans. The Breville BDC550XL is one highly-capable coffee machine that delivers on its promises: Single-serve and 12-cup option, automatic capability, plenty of programming options, built-in grinding capability, and a sturdy build. Sure some aficionados might scoff at the idea of a warming plate, but ultimately it depends on the user’s preference. Bottom line, we heartily recommend the Breville to anyone looking for a medium-priced machine flexible enough for serving a ton of people, yet still customizable for more intimate me-time coffee sessions. The first thing you’ll notice when you lay your eyes on the Breville 800ESXL is the strong, heavy-duty appeal. It exudes with its solid steel construction. The die-cast casing is beautifully designed yet maintains. That sturdy look and feel that just screams the word “tough”. At 110.25 x 12 x 12.5 inches. It is around the regular size of a typical espresso machine. Which means it fits most table tops and kitchens perfectly. The body of the Breville 800ESXL, along with its controls. The tamping head is made from high-grade aluminum and zinc. In order to achieve the best from both in durability and performance, die-cast construction makes use of very high levels of heat to mold its metal. That giving the machines much more strength and toughness to its overall construction. At 4.5 inch of clearance, the Breville 800ESXL can accommodate large cups and mugs. Which are often used for Americanos and Lattes? This and the clear line of sight of the filter make loading during operation easier and quicker. For control purposes, a die-cast Selector Dial has been integrated to enable the user to switch between steam, hot water, and Espresso. The cool part about this deal is that when turned left. The option to alternate between steam and hot water is possible by utilizing the illuminating steel buttons. Turn it to the right and you will have manual-type control. When making an Espresso, while the middle position is for the standby mode. The Breville 800ESXL features a unique 15-bar Triple Pump that releases three quick bursts of hot water directly to the filter head which leads to the expansion of Espresso pods or Ground coffee. This results in an increased pressure that enables the machine to extract a better amount of crema. That is needed for smooth-tasting and full-bodied brews. By utilizing the patented ThermoBlock heating system, water is maintained at an optimal 204 degrees F during the extraction process. A maximum temperature of 250 degrees F is achieved during steaming. When finished the unique Auto-Purge capability will release a measured amount of steam to bring the temperature back to its optimal level. Out of the box, the Breville 800ESXL comes with filters for single and double sizes. Along with the one for Pods. Each is made from solid steel and is engineered with Breville’s patented Dual-Wall Crema technology. Breville designed this filter with 333 evenly-distributed pores on its first wall. While a single exit hole is the only thing incorporated on the second. To explain the idea behind this, during operation, a back pressure builds up within the head’s insides. This pressure, when combined with the results of the Triple-Pump technology allows for a higher level of extraction. Which leads to more flavor and texture on the Espresso. In order to compare the functions and features of the Breville 800ESXL versus the Ranchilio Silvia. just browse through our head to head comparison. A removable water tank (75 oz max), cup warming tray. The Swivel Steam Wand with an integrated Froth enhancer. With a concealed storage compartment complete the over-all build of the Breville 800ESXL. All in all, it is a beautifully-designed and well-engineered machine. Capable of making delicious Espressos with thick crema through the very simple operation. This makes the Breville 800ESXL easy to use and learn, perfect for those. who is just starting in the world of home-brewn Espressos? Among lots of cookware Nonstick, 12 Piece T-fal C111SC Black Cookware is one of the best nonstick cookware available in the market. This cookware is best for its amazing features, like the nonstick surface of this cookware is quite stable, even after a long time use this coating will not fade away. The body structures of this cookware are made with gauge aluminum, so it’ll warm up quickly and firmly stable. Heat distribute throughout the pan equally. It is toxic chemical free like PFOA, Lead, and Cadmium which are quite harmful to human being. This cookware is quick and easily cleanable. Due to its nonstick quality food doesn’t get stick with the pot and easily releasable. This nonstick T-fal black cookware set includes a tempered glass lid which is so clear that you can observe your cooking state during preparing any recipe. Made with heavy gauge aluminum, so this cookware reasonably lasts the longest time. Heat resistant gripper attached to all the handles so that your hands keep out of danger. The dishwasher is quite safe and in the case of the oven it is safe up to 350 degrees F.
The company uses high technology of thermo-spot system by which a user can understand whether the pan is ready for cooking or not. Moreover, this technology ensures the overall heat distribution in the whole pot. Properly preheating is one of the preconditions of best cooking. The interior part of T-fal nonstick cookware set is made with high quality coated which is scratch resistant as well as easy to clean so the dishwasher is safe. The handles of Nonstick 12 Piece T-fal C111SC Black Cookware are quite safe due to its gripper pad used on the handle. Sometimes it is seen that during cooking and holding the pot the handle might slip, unfortunately, but As there is a gripper of this handle, so there is no chance of slip of the pot. Not only that these handles are comforted to hold too. The T-fal cookware set is made with sturdy aluminum metal so that the user can use this long time and ultimately these posts do not get damaged during long time use. As the aluminum is used as base metal so the cookware gets a rapid warm. Analyzing a report on customer’s feedback, it is seen that they have commented positively about on Nonstick 12 Piece T-fal C111SC Black Cookware. The users of this cookware are greatly satisfied. Especially they like those features of this cookware. a few of them found a little weak of this T-fal black cookware. Overall, it can be said that Customer’s reviews are positive on this cookware set. This can assure to other to decide to purchase it. In conclusion, it can be said that Nonstick 12 Piece T-fal C111SC Black Cookware proves itself a unique cookware due to its great features. The most noticeable features are Thermo-spot technology for actual heat distribution in the cookware. Moreover high-quality interior coating last long and scratch resistant. The handle is wrapped with soft gripper so that the user can use it feeling good while holding the gripper. The oven is safe up to 350 degrees F. As the exterior side is too coated so the user can clean it without feeling any hazard. All these features make this 12 Piece T-fal C111SC Black Cookware unique one and perfect for your favorite kitchen. Calphalon 10 Piece Nonstick Cookware is considered to be the best cookware for your kitchen. It is indeed a complete package that has made life easier. It includes multiple sizes of pots and pans for the whole family. The quality of Calphalon Nonstick cookware is spectacular as well as it is made of thick solid aluminum. As a result, it gets hot quickly and the heat is distributed evenly than stainless steel. The simply Calphalon 10 piece nonstick cookware set interior helps to clean and release food easily. Even it looks like a brand new product after every single use. It’s comfortable silicon grips handles stay cool even at high temperature. The transparent glass lids help you to see food cooking without lifting up the lid and letting out the heat. Besides, like all other nonstick cookware, it is PFOA free. Thus, the Calphalon Nonstick cookware is the best in terms of superior cooking performance and durability. Comfortable silicone grips handles stay cool even at high temperature. Why This Calphalon Nonstick 10 Piece Cookware Set need at your kitchen? This Calphalon Nonstick cookware is made of a thick aluminum core. Thus, the construction provides durability and even heating across the bottom and up sides of the pan. As a result, it will serve you years after years. The cookware is very easy to use and easy to clean. its comfortable silicone grips handles stay cool even at high temperature. It is also very helpful for a secure hold. Besides, its transparent glass lids help to see food cooking without lifting up the lid and letting out the heat. The nonstick interior of the cookware helps to clean and release food easily. So, Food does not get stuck with it. As a result, it is easy to maintain. One can wash them easily using a little water and soap. It is a healthy cookware. Because it is free from all kinds of toxic elements like PFOA. So, you can cook the best recipes for your healthy family. Calphalon 10 Piece is oven and broiler safe up to 400° F. Besides, one can cook on gas, electric and ceramic stovetops with the set. in this regard, you can use these on your multi type of cooker. This anodized aluminum cookware is very much resistant to scratch. therefore, one can use metal utensils and dishwasher, but for the longevity of the product, it is better to use plastic or wooden utensils and hand washing. So one can use the cookware with an ease. In fine, it can be said that Calphalon 10 Piece Nonstick Cookware is an ideal addition to everybody’s kitchen. After using the product the customers are greatly satisfied with this cookware. They like it very much and admit that it is an integral part of their kitchen. It was the ability to bring a revolutionary change in their cooking. Now, cooking has become an ease to them. The construction, durability and all-around quality of the cookware have made the cookware a unique one. Thus, Calphalon 10 Piece is by far the best cookware. Best Cuisinart 66-14 Nonstick Hard-Anodized Cookware Review is a high-quality cookware for its top designs. It is one of the best nonstick cookware which brings together top quality cooking performance along with an attractive outlook. It is a healthy cookware. The inner and outer portions are made of hard anodized metals. It has made the cookware stronger and durable than the average stainless steel products. The nonstick coating on this cookware set makes it easily cleanable. Food does not get stuck with the pot. One can clean it with little water and soap. Besides, the coating is very scratch resistant and more durable than other nonstick coatings. The handles made of cast stainless steel remain cool even in high temperature. Its transparent glass lids are easy to monitor of cooking food. The best nonstick ceramic cookware is indeed the best cookware because of its durability, flexibility, and all-round quality. The exterior surface of Cuisinart 66-14 Chef’s Classic Nonstick Hard-Anodized 14-Piece Cookware is made from the hard anodized aluminum core. This has made the cookware stronger than stainless steel. For this reason, these pots do not get damaged after a long use. Besides, we all know that aluminum is a good conductor of heat. Therefore, heat distributes throughout the pan evenly. And we can cook our food easily. The interior portion of the cookware is nonstick. so, this helps you to maintain your cookware easily. You can wash them simply with a little soap and water. In addition, the color scheme of the Cuisinart 66-14 Classic Cookware Set is very attractive because of its classic and professional look. The set is attractive enough to display it in your kitchen. The handle of Cuisinart 66-14 Classic Cookware is made of cast stainless steel. As a result, it will remain cool even when cooking at a high temperature as well as Another important feature of this cookware is the use of vented, transparent glass lid. The heavy pressure will leak through the vent and one can see the food while cooking. Cuisinart 66-14 Classic Cookware is scratch resistant and safe in the dishwasher. You can use metal utensils also. But it is better to use plastic and wooden utensils and hand washing for the longevity of the product. This cookware is oven safe up to 500° F. Besides, you can cook on the stove, in the oven, or under the broiler with this set. This set is freezer safe also. So, you can use this set without worrying much. The heat proof transparent lids. Many customers have used Cuisinart 66-14 Chef’s Classic Nonstick Hard-Anodized 14-Piece Cookware Set. After using the product they are highly satisfied with it. Moreover, They have expressed their satisfaction because of the unique features and quality of the cookware set. For this reason, they have commented positively about it. But, only a few people have commented negatively regarding the product. However, on the whole, it can be said the customer’s reviews are positive regarding the Cuisinart 66-14 Classic Cookware Set. As the products earn maximum satisfaction. so, it becomes most popular. As a result, its selling rate has already been increased. Among all other cookware, Paula Deen Signature Nonstick 15 Piece Porcelain Cookware is best for its unique features that are not available in all other Cookware. Since the color of this cookware is impressive, so you can use it in your kitchen to enhance your kitchen look. At the same time, it attains the positive impression of a guest. This best ceramic cookware is built with heavy gauge aluminum so at quite durable for the longest time. The interior part of this cookware is impressive, it’s quite scratch resistance and high-quality coating last longer time. Fry doesn’t burn or stick with the base of the pots. The handles provide with a dual-riveted soft gripper which is heat resistance and comfort to hold. This best nonstick cookware set provides a tempered glass lid so that the internal function can overlook clearly. The exterior side of Paula Deen Signature Nonstick 15 Piece Porcelain Cookware is polished with porcelain so it’s easy to clean. This cookware set provides a limited warranty. The core metal uses to this cookware is heavy gauge aluminum, So it’s enough strong for lasting long and being made with aluminum its warming up tendency is high not only that its distribute heat in such a way that a cook can make his recipe without feeling disturbed with the hot spot. As these are aluminum cookware, so it absorbs heat very quickly and the heat is equally spread all over the pot. That’s why it’s become more favorable to cook the best recipes. The exterior portion of this gorgeous Paula Deen Nonstick Porcelain Cookware made with speckled porcelain enamel. The exterior side will not scratch due to heavy enamel coated. So, this last a longer time. This best nonstick cookware set contains a soft rubber gripper handle for smooth holding. This is also safe as these handles will not slip during cooking and using. For easy hanging this cookware, there is a ring fix with to the handle so that anyone can hang it on the wall when they wish. This cookware is safe equal to 350 degrees F temperature. The interior nonstick coating will not lose even on this high temperature. This cookware is available in multiple colors such as blueberry, butter, coral, pear, oatmeal, red etc. 1-Quart &2-Quart Covered Saucepans, 6-Quart Covered Stockpot, 2.75-Quart Covered Sauté, 8-Inch & 10 Inch Skillets. As the structure is made Covered thick gauge aluminum, so this is obviously longer lasting. The set nonstick coating is easily cleanable and it requires less oil or ghee. Cors: It is really very hard to find any fault or problem as this is a very quite popular product. People all over the world use Paula Deen Signature Nonstick 15 Piece Porcelain Cookware widely. Even though, it is not out of criticism. During uses of this cookware, people find long of this product. • Question: Is there any warranty of this nonstick porcelain cookware? • Question: What’s about its nonstick coating? Answer: Its nonstick quality is high so you can use it for a long time without losing the nonstick quality. This Paula Deen Signature Nonstick 15 Piece Porcelain Cookware is rich with standard features. This is why the popularity of this cookware is ample. A good product always demands the best price, in this regard; this price of nonstick porcelain cookware is a little bit high. Gauge aluminum made it hard, maximum quality nonstick coating last longer time. This best cookware is available all over the world through the Amazon market. Click here to check the price. Lots of Ceramic Cookware products are available in the market but all the cookware are not perfect and unable to fulfill the requirement of the user. The demand of the actual product is always on; Best Green Life 14 Piece Nonstick Ceramic Cookware is such types of product that can successfully be able to fulfill all the desire of the user. This set included 14 pieces different cookware for the different purpose and need. Pans are light weighted and these are perfect for rapid warming and have an excellent quality base. This nonstick ceramic cookware is firm enough to long survive. The soft gripper is one of the prime qualities used in the handle. As the soft grippers are attached with the handle so the users feel better while holding the pan. Heat is equally distributed throughout the pan and prevents burnout the food. This ceramic aluminum cookware is perfect for cooking braising, making the sauce, cleaning a bridge roasting and so pleasant to cook on it. • The non-stick coating is coated with Thermolon that’s last longer time even regular uses. • The hard aluminum body absorbs maximum heat and worm the pot rapidly. • In 180 degree Celsius, these pans are safe and out of physical damage. • Dishwasher in this set is quite safe. • This cookware is made with enamel coating with outside and button. Why Green Life 14 Piece Nonstick Ceramic Cookware is a Perfect choice? The rich features of this nonstick ceramic cookware are demanded all the times at your kitchen. This product set is produced in keeping with the concern of your requirement in your kitchen. Color combination of anything gives an impression of anyone; the bold and variant color of this Nonstick Ceramic Cookware charms much. The color used in this nonstick cookware is turquoise and make its appearance more chic, stylish and tremendous. The people who would like to add extra decoration to their kitchen should purchase this Green Life 14 Piece Nonstick Ceramic Cookware. It certainly enhances the standard of the kitchen. The nonstick coated surface is so high quality that you can use it frying anything and crispy food cooking without feeling the tension of damaging the coated surface. The surface coating is highly scratch resistant, so if you cook your food roughly, it’s still can keep its coating harmless and only that why this nonstick ceramic cookware lasts the longer time than you expect. Off and on it is seen that the handle of the cookware is not flexible to hold it on and always have a fear of slipping it from hand. Considering this problem Green Life brings its 14 pieces nonstick ceramic cookware in a special way, the handle is wrapped with individual types of a soft gripper. These grippers are quite lightweight and thermal resistant and easily cleanable. The coating of Green Life 14 Piece Nonstick Ceramic Cookware is made with heat resistant technology. Its originality can survive even under extreme temperature. No, any toxic fume will release in dealing with maximum temperature and will not damage physically. The producer uses Thermolon which is a conventional coating system of different cookware. Durability and strength: This nonstick ceramic cookware is ultra durable. It’s made with strong aluminum base and the best quality coating make it everlasting at your kitchen. High quality nonstick cookware: Green Life 14 Piece Nonstick Ceramic Cookware is really very high and in comparison, the quality the price is defined reasonable and within range of any people. Easy Cleaning Option: This aluminum structured cookware is easy to clean and wash and that’s why people opt to select it. In comparing this cookware with other ones in the market, it can be definitely said that the feature of this product can fulfill the requirement of its user. Green Life 14 Piece Nonstick Ceramic Cookware made with strong aluminum core metal that absolves extreme heat, the high-quality coating that resistant scratch longer time, the Soft gripper in the handle of the cookware for holding comfortably. Overall, in spite of being the high-quality product, it’s price is set reasonably. For cooking perfect and delicious healthy food, a proper cookware needed in that purpose, and lots of non-stick ceramic cookware are available in the market but often the user gets stuck in the confusion that which one is perfect and can fulfill their requirement. 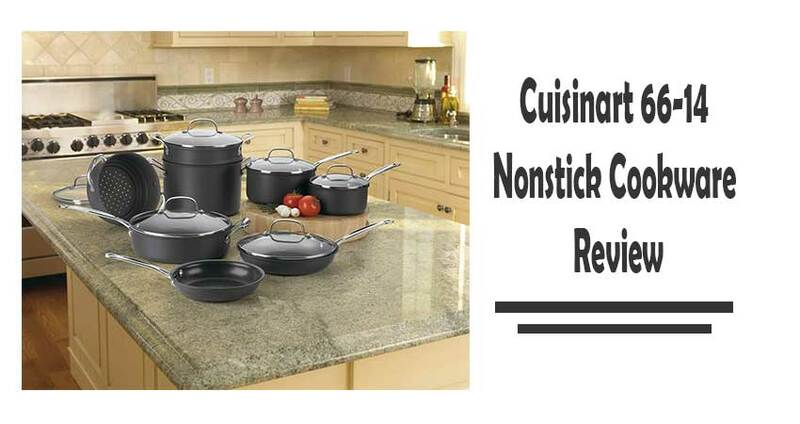 N Home provides 10 Piece Nonstick Coated N-Home NC-00358 in considering the requirement of the user. The Best Nonstick Ceramic Cookware set is made with uncompromising features, like long-lasting ceramic coating that keeps safe the pot from physical damage, like rust. The thick aluminum material is used for getting quick heat and worm up even in absence of hot spots. Due to its high-quality nonstick coating, you can cook healthy recipes without using oil and butter. It’s clear tempered glass lid facilitate you to view the current state of food during cooking; ultimately, you can get better healthy cooking in the consequent. The handles of cookware are wrapped with best quality safety gripper pad and also ensured anti-slip coating to avoid an unexpected accident by chance, moreover for your better security this cookware is made with lead and cadmium free. Dishwasher use this set is safe and easygoing for cleaning. You are going to have a great experience with N-Home NC-00358-(H3) in your kitchen. Cadmium and Lead-free with high-quality scratch-resistant ceramic coating pots. The dishwasher is so many users friendly that anyone can easily clean it without much effort. Eye-catching interior and exterior design of the cookware. Most safety handle gripper used with an anti-slip coating so that user might not get hurt. This ceramic cookware appears on the latest look, stylish design that enhances kitchen standard. Made with ultra technology with the longer durable formula that service you prolong time. The different mode of processing a stove like a broiler, toaster stove, microwave stove, convection stove, toaster stove and also usable in the freezer and privileged dishwasher as well as secured service food on the table. After all, it is found that no any ceramic cookware found that meet all the demand of uses, in case of Non-sticky ceramic cookware you are getting total satisfaction of its best service. It has been able to fulfill the pre-requisite of the customers demand that’s usually one seek for. Affordable cost: Price set for Non-sticky ceramic cookware is reasonable so that it can be incapable of all classes’ people. Customers are getting high-quality cookware within their capability. Strong Build: Structure made this cookware with the high quality thick solid aluminum base for rapid warm-up and cost-effective in consideration of fuel. It’s a strong base prolong its lifetime that’s gain the user satisfaction. Non-stick: Cookware N Home NC-00358 comprise with the non-stick surface to avoid additional damages and not need extra oil for keeping its surface safe during cooking. Chemical free Design: Getting your house and the environment free form smoke and the product is made with free-form harmful chemicals like PTFE and PFOA; those are seriously injurious for our life. Warranty: Cookware are such products that might cause get out of order, such as the handle might get unexpectedly broken or the non-sticky surface might get scratch anyhow. In that case Cookware N Home responsible to replace it. Relatively warranty is an important factor along with its other quality. Non-warranty products are proved to be worthless in the passage of time and use. • The user can’t use silverware and metallic utensils as its threatening to the damages of the non-stick surface of the pot. • Due to its fixed handle, you can’t use it in stove and microwave. Among all other ceramic cookware, this Best Nonstick Ceramic Cookware N-Home NC-00358 is comparatively standard and affordable, Lots of ceramic cookware available in the market is in high rate but sometimes it becomes beyond to the customers budget. Proper use of this set might serve you the longest time, even several years and the price you are getting also comparatively within reach.